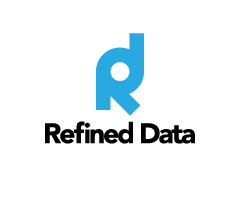 The Refined Data Solutions report builder provides the ability to create and edit reports based on a specified data source in the LMS. The data source is the type or types of data the system uses to build a report. For example, the active users report (which shows the number of active users per month) uses the ‘active users data source’ to collect information about the number of active users in the system to display on the report. There are two types of reports in the report builder: user generated reports and embedded reports. User generated reports are built by users in the system who have permission and access to the report builder. Embedded reports are built by Refined Data Solutions and are automatically accessible by the site administrator upon installation of the report builder. Any user who builds a user generated report can view the report and can share viewability with other users. Embedded reports can only be seen by site administrators. Additional features include the My Reports block, which provides users the ability to view a report. Reports can also be scheduled to automatically build themselves and be emailed to a defined user monthly, weekly, or daily. The report builder is automatically installed on the Refined Training platform with the release of version 3.2 in April 2015. To access the report builder go to Site administration >>>> Reports >>>> Report builder. There are two options available: General settings and Manage reports. General settings is where to set default exporting and report building options. Manage reports is where to build new reports and access or edit user generated and embedded reports. Reports can be made available to end users through the My Reports block. To add the report block, select Blocks editing on. Scroll to the bottom of the page and in the Add A Block block, select My Reports from the drop down menu. The block will populate with reports that each user has permissions to view. See My Reports block for more information. The report builder General Settings provide formatting, exporting, date settings, and caching options at the system level. Reports can be further filtered at the report level. See manage reports for more information. The General Settings can be found under the menu: Site administration >>>> Reports >>>> Report builder >>>> General settings. The format export options affect all reports and allow users who have permission to view reports the ability to specify an export option that will display at the bottom of each report. When multiple options are made available, the user can choose a preferred export option via the export drop down menu when viewing the report. If the format export options is left blank (no export options are selected), the ability to export reports is disabled. When Export to file system is enabled, it allows reports to be saved directly on a web server’s file system. By default this is set to no. This option is useful when a report needs to be accessed by an external system. For example, you may have an existing HR system capturing information about employees who are a part of your organization and as those employees develop and progress through training delivered on the LMS, that information can be captured in the HR system via report builder reports saving directly to the external HR system. The File export path tells the report where it should be exported to and stored on the external system. This is a writable directory and requires a correctly configured system path to ensure the reports are delivered. By default, there is no file export path provided. The file export path works in conjunction with the ‘Export to file system’ ability as the file export path tells the file(s) where to export to on the external file system. Enter the start date of a Financial year to be used in the reports content controls. This date is based on the UTC timezone (coordinated universal time which is the primary time standard the world regulates clocks and time. It is closely related to Greenwich Mean Time GMT). Enable report caching allows administrators to configure report caching and by default is set to yes. When caching is enabled, reports will display quicker as the information will be cached based on the settings at the report level.